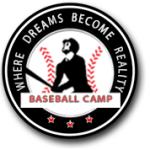 Event spots may be secured with a NON-REFUNDABLE deposit, the balance of the event fee must be received by Big League Experience no later then 30 days prior to the camp start date. You may return here to pay the balance online where your credit card will be charged the remaining balance owed. The Perfect Games Martin Luther King Upperclass Tournament is a competitive showcase event held in Glendale, Arizona from Jan. 16 – 21. Players graduating in 2019 or younger. The Perfect Games Martin Luther King Tournament Underclass is a competitive showcase event held in Glendale, Arizona from Jan. 16 – 21. Players graduating in 2020 or younger. The 13U USSSA Spring Championships Super NIT Tournament in Phoenix, Arizona is a yearly event that attracts teams from all over the US and Canada. Spring Training Camp March 18 – 21 and Tournament 22 – 24. This is an Invitation Only Event. Players must be born on or after May 1st 2005. The 14U USSSA Spring Training Invitational will be held March 30/31 with a mini-camp March 26 – 29 in Mesa, Az. The tournament hosts teams from all over the US and Canada. This is an Invitation Only Event. Players must be born on or after May 1st 2004. The Las Vegas Baseball Academy is hosting the 28th Annual “Desert Fall Classic” Oct 26 – 29 and the Big League Experience has been invited to participate in this very competitive tournament. Held in Las Vegas, Nevada Team BLE will be entering teams in the 13U – 18U divisions. 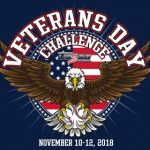 The USSSA Veterans Day Challenge Tournament is held in Las Vegas, Nevada Nov 10-12 and BLE will have teams in the 11U 12U, 13U & 14U Divisions.